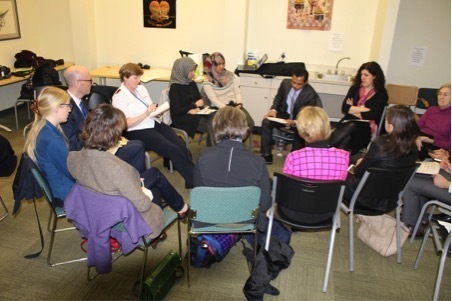 MPV hosted a parallel event to CSW60 titled “In Conversation with #ImamsForShe Champions: Tackling Violenceagainst Women and Girls Together” comprising of three workshops, namely on female genital mutilation and cutting (FGM/C), access to education and early and forced marriages. Please find pictures of the event here. The workshop event was recorded and will be featured on our YouTube channel shortly. From March 11 to March 24, 2016, MPV’s Global Advocacy staff participated in the 60th Session of the Commission on the Status of Women (CSW60) at the United Nations (UN) in New York. MPV’s Global Advocacy Director Shafferan Sonneveld spoke on a panel titled “Forced Migration, Human Trafficking and Child Soldiers: How ISIL is Exploiting the Conflict in the Middle East,” hosted by the UN Programs of the Department of Inter-Orthodox, Ecumenical and Interfaith Relations of the Greek Orthodox Archdiocese (together with the World Council of Churches and The Lutheran World Federation). Shafferan discussed how Daesh’ crimes committed in the name of Islam, including against the Yazidi population and Christian minorities, are widely condemned by Muslims and are deemed un-Islamic, highlighting the scriptural references in the Open Letter to Al-Baghdadi. 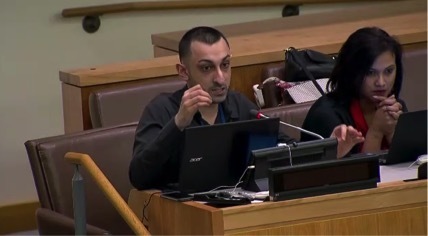 She also delineated strategies that have the potential to not only counter Daesh’ actions but most importantly prevent its growth, including the scholarship and activism of Islamic feminists, youth activities and the meaningful engagement of women in all conflict resolution and peace processes, in line with the Women, Peace and Security (WPS) Agenda. In an event hosted by the Association of Women in Development (AWID) on “Tracking & Countering Influence of Religious Fundamentalisms and Extremism", Shafferan Sonneveld delivered an intervention highlighting that “inclusive and egalitarian narratives, promoting gender justice and women's empowerment, are integral in achieving transformational change within communities.” In addition, she shared three concerning trends where human rights have been misappropriated to further political patriarchy. 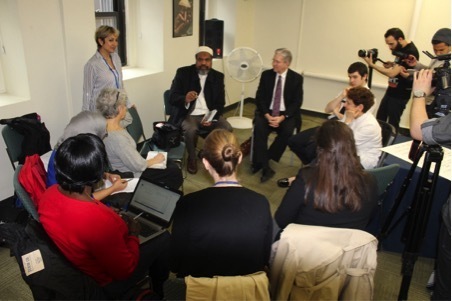 In addition to our advocacy in preventing violent extremism, MPV actively engages with its NGO partners in developing the Faith and Feminism Working Group at the UN to foster a new discourse at the UN about the means for the transformation of structures and attitudes that sustain gender discrimination and inequality. 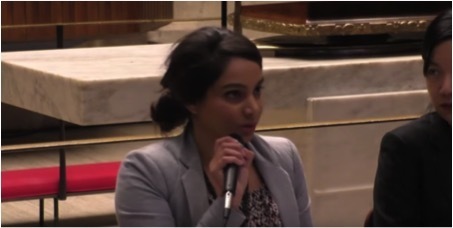 An oral statement was delivered at CSW60 by our colleague Saphira from the Baha'i International Community. Read the statement on our website here. MPV’s UN Representative Omair Paul shared his expertise in accelerating the implementation of Planet 50/50 by 2030 and the 2030 Agenda at the official side event on “Faith and Gender Equality,” organized by UN Women in collaboration with World YWCA. The recording of the side event can be viewed here. Upon request of the Office of the High Commissioner for Human Rights, MPV submitted a document highlighting the work that MPV undertakes as a pioneering faith-based human rights organization in preventing violent extremism (PVE) by promoting universal human rights and inclusive and egalitarian interpretations of Islam. To read our policy brief on best practices and lessons learned on PVE, please click here. 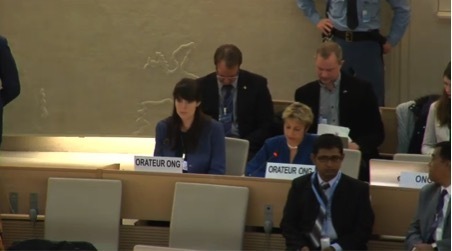 As part of our Global Advocacy work at the United Nations in Geneva, MPV delivered a statement it co-drafted with COC the Netherlands at the 31st Session of the Human Rights Council as part of the Interactive Dialogue with Special Rapporteur on Cultural Rights. In the statement, MPV highlights that “the free practice of cultural rights serves as an effective antidote to radicalism. Artistic expressions, through technology, new media and various forms of art and music, counter radical narratives, and for this reason, freedom of expression and conscience must be unequivocally championed.” Read the full statement here. MPV was also co-sponsor to the event hosted by Article 19, titled "Protecting the Freedoms of Expression and Belief for All." MPV-LA is hosting our popular monthly “Ask a Muslim” series on the first Thursday of each month. Next month will be on LGBTQI Rights in Islam. Space is limited, rsvp recommended. 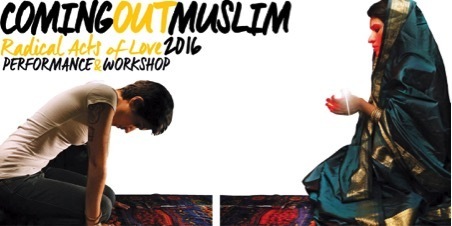 MPV-LA is hosting the very popular, moving, heart-breaking, uplifting, funny Coming Out Muslim, the play this April 8th. We encourage Muslims, especially imams and Muslim community leaders to attend. Healing will only happen when we recognize the suffering we have created with our prejudices. Purchase your tickets today. MPV Nederland (the Netherlands) is live and kicking! While we officially launched the online community of MPV Nederland (the Netherlands) in 2015, we are growing rapidly and are excited to share with you our latest activities and news! Our work focuses on raising awareness of MPV in the Netherlands by sharing resources through our newly-launched website and by building an inclusive community through our Facebook page and Twitter. Please “like” and “follow” along to stay informed about our work! Alongside our NGO partners, we also actively participate in the debate on gender and religion, particularly in the areas of identity, development and participation. In that capacity, we have signed the Dutch National Action Plan on United Nations Security Council Resolution 1325, committing ourselves to actively contribute to Dutch policy-making on gender issues. We are also working on Islam and School, a project to build social cohesion through positive image formation in schools. To really kick things off, we are organizing the event ‘Meet Muslims for Progressive Values in the Netherlands’ on April 11, 2016 at 15:30-18:00 in The Hague. It will be an informal, inclusive get-together of both Muslims and non-Muslims to talk about Islam and progressiveness in the Netherlands. MPV’s Global Advocacy Director Shafferan Sonneveld will share about MPV Global’s work. You are more than welcome to join; sign up to attend events here and click here for more info. Please let others know of the event as well! MPV-DC held two new member welcome brunches in March. The first one was held on Sunday, March 20 in Virginia and the second one was held on Saturday, March 26 in Maryland. We did this in order to accommodate our members in Virginia and Maryland that are unable to attend events in DC. We’re also planning our second interfaith dinner on April 15. On 4 March 2016 meet-up with Buddhist and Catholic Groups to bring youth together, unite lay-people against religious radicalism, reclaim religion for the lay-people and combat homophobia. The next project is to bring Muslim, Buddhist and Catholic youths together and discuss the issues they are facing in Malaysia. On the same day, two of our members, Numan and Mimie met up with Muslim Representatives from the UK at the British High Commissioner. 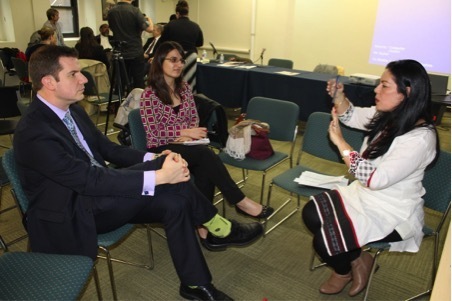 We were able to share and listen to the concerns and challenges faced by Muslims in Malaysia and the UK. Mimie and Dave represented KMU at programme organized by AWAM (All Women’s Action Society) with the Council of Churches Malaysia. The title of the programme was Creating a More Equal Malaysia: The Challenges Ahead and among the issues discussed was on Sexual Rights, Religious Doctrine and Politics and LGBT and the Family. MPV Australia in Melbourne continues to hold its fortnightly Quran Discussion clubs, with new members joining at each session. The next session is on Tuesday 5 April. MPV Australia is also participating in a Sufi Zikr with teachers Taner Ansari & Muzeyyen Ansara on Saturday 2nd April. 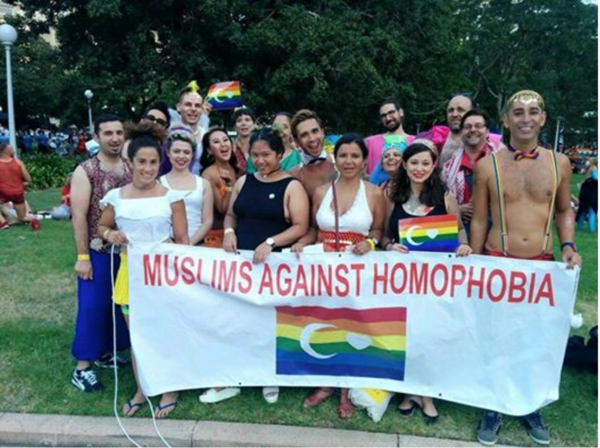 MPV Australia in Sydney facilitated and participated Muslims Against Homophobia march in the Sydney Mardi Gras Parade. Champion Boxer Bianca Bam Bam Elmir also joined us in the parade. MPV Australia in Brisbane had its first management meeting, and has planned its first meetup on Sunday April 24th.